Decision came after the PM questioned ASI's rules. 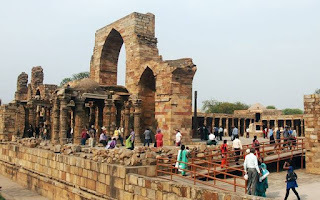 Archaeological Survey of India (ASI) has issued order allowing photography within premises of protected monuments and sites. The order was issued after Prime Minister Narendra Modi questioned ASI’s rules prohibiting visitors from taking photographs at certain monuments while inaugurating ASI’s new headquarters- Dharohar Bhawan in New Delhi’s Tilak Marg area. Under the new order, photography will be allowed within premises of Centrally protected monuments maintained and managed by ASI. However, photography will remain prohibited near Ajanta Caves, Leh Palace (both housing paintings that can be damaged by camera flash) and mausoleum of Taj Mahal. Earlier, historians, academicians and professional photographers were required to take permission from ASI for photography in protected monuments. ASI administers and manages 3,686 ancient monuments and archaeological sites, and remains of national importance.